Fruit yogurt smoothies flavored candy “yogen fruz” are popular to us, all of these are good and refreshing. 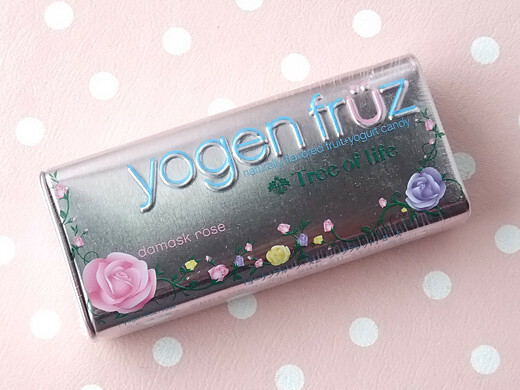 Famous herb shop Tree of Life collaborate with yogen fruz, their original flavor is damask rose. 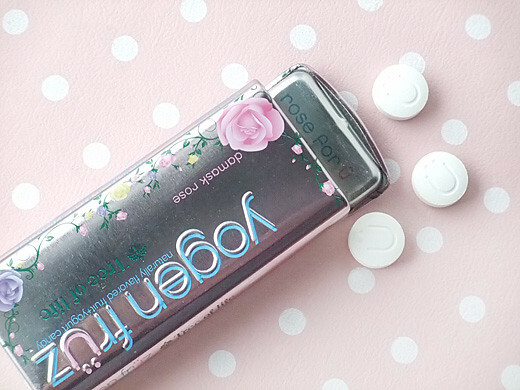 Scent of rose, sweet and sour yogurt flavor are perfect matching for me! The message on its lid “rose for u” makes me smile.